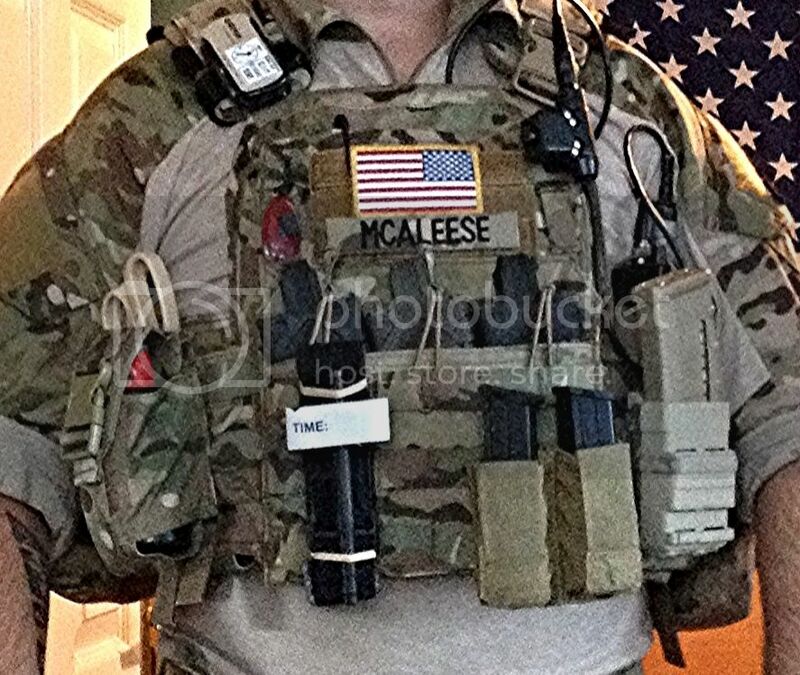 I've seen various load out threads on here and after a brief search I couldn't find one specifically for plate carriers and how we all run them. I'd be interested to see what PC's people are using, why they have it set up the way they do, what they carry and any tips/tricks for placement of items or useful items. Small torch (This was cheap of ebay and was invaluable at private mall game we had, ideal for lighting up up small areas in front of me or when loading in the dark. Allows me to go trigger happy! 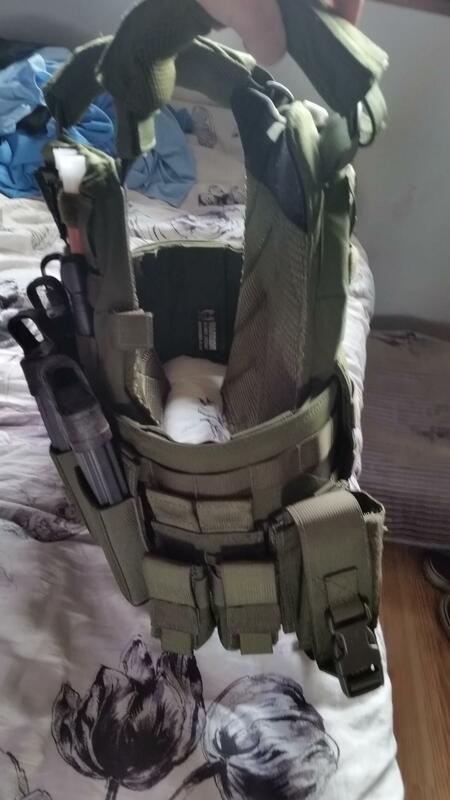 I used to own the same JPC, got mine from Taiwangun. I liked it, but it just felt a bit stiff and I didn't like the skeletal traps. yeah it's my first setup, only been in the hobby for 9 months or so. 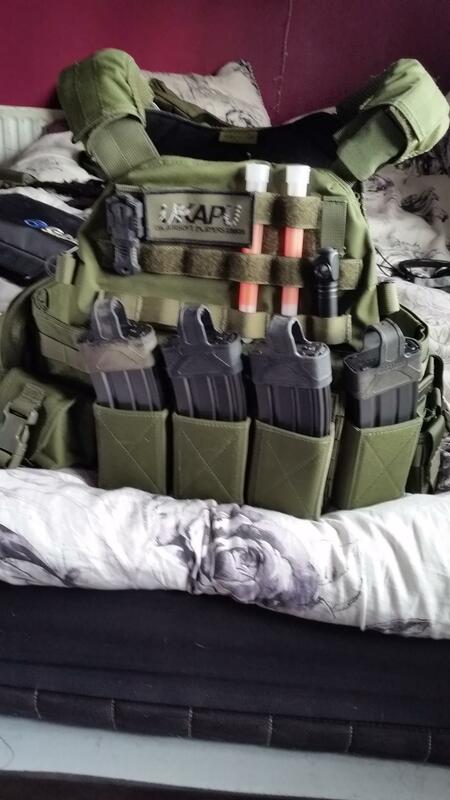 Im stuck in the middle of my GCSEs at the moment, but once they are over and ive got a job, a new set up might be on the horizon! 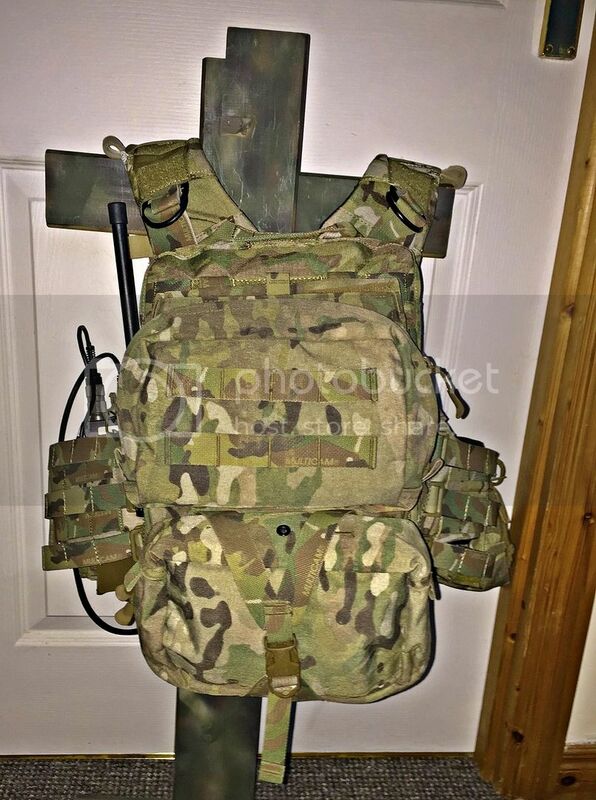 I'm looking for a cheap Chest Rig, I'm on a pretty tight budget (Saving for New York) what would you guys recommend for cheap? 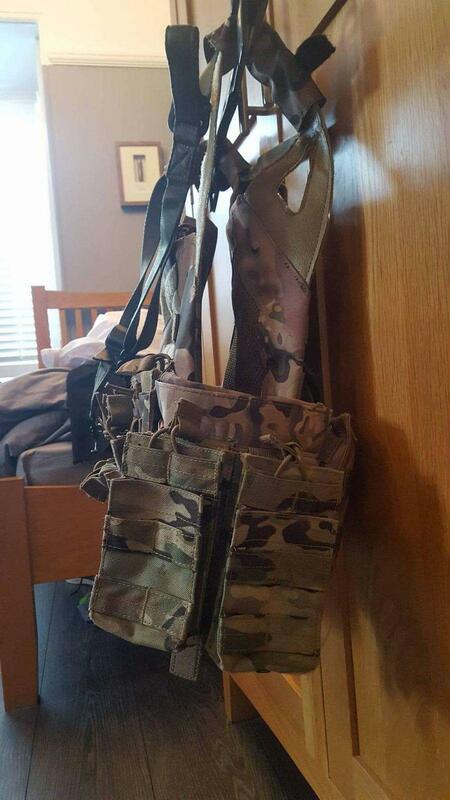 I already have Mag Pouches. 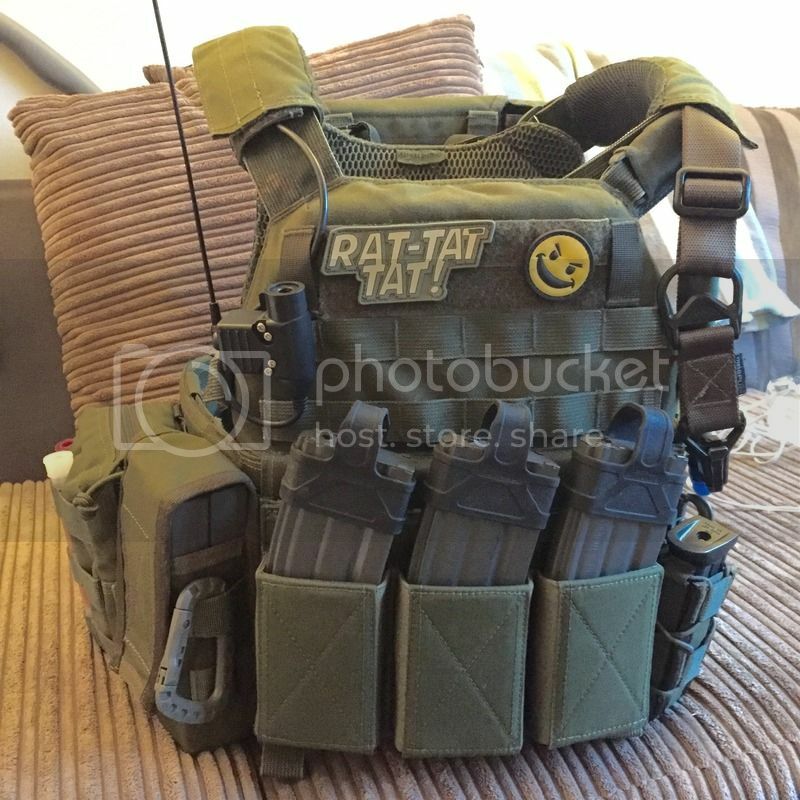 I just picked up a Emerson jpc with fake plates for £30 from patrolbase. Bargain! 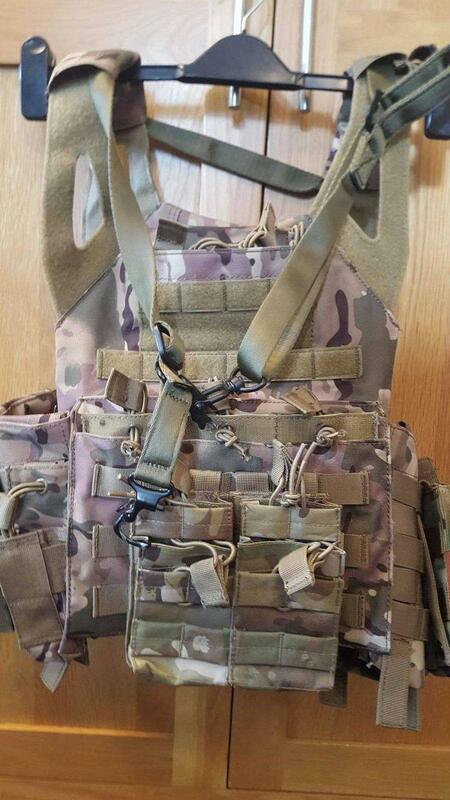 When I started I bought a no name carrier off ebay, looked ace but in use I was pretty disappointed. 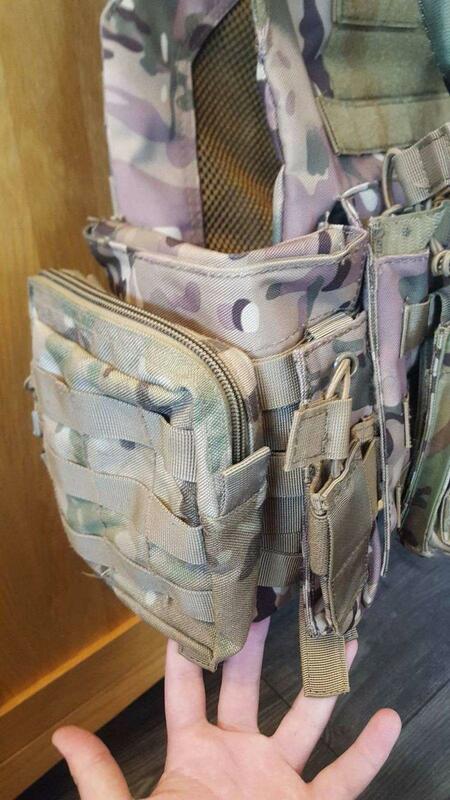 Recently purchased an Osprey MK4 Plate carrier, figured I would get the same our lads use, if is good enough for them in Afghanistan it's good enough for me in a private wood within easy commutable distance from the M4! 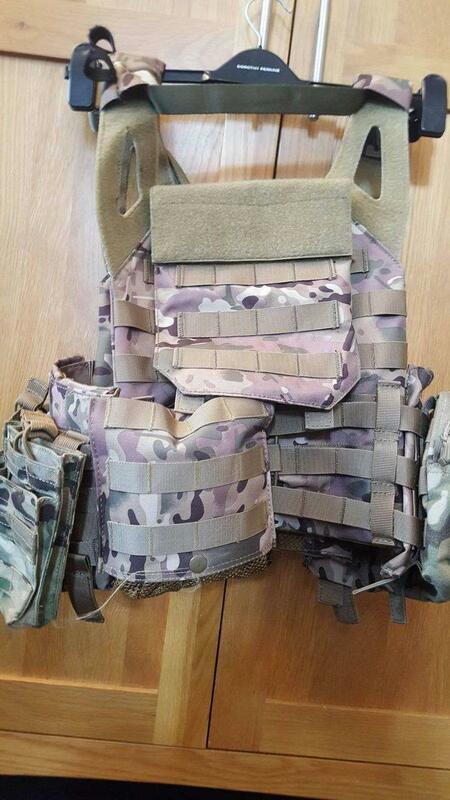 Its ex issue so has the used in combat look. For £12 you can't really go wrong, but I've never understood why anyone would WANT to wear osprey! 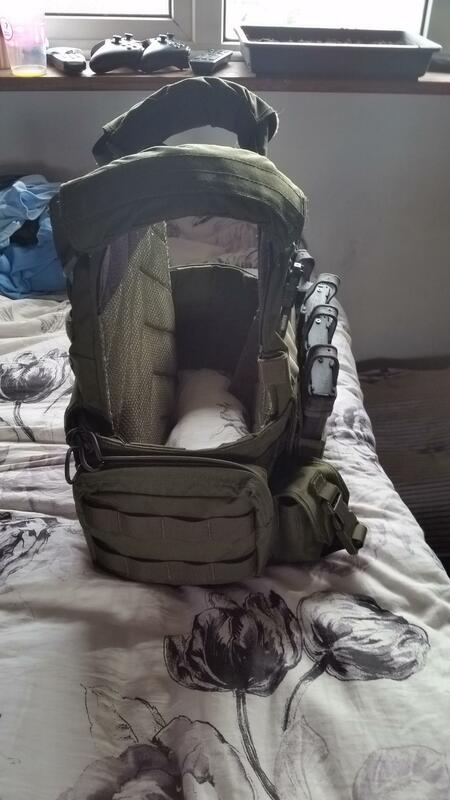 Here's an old one of my carrier, it's had a couple of changes since this photo was taken but I don't have time to get a new one right now. Not derailing a brilliant thread. 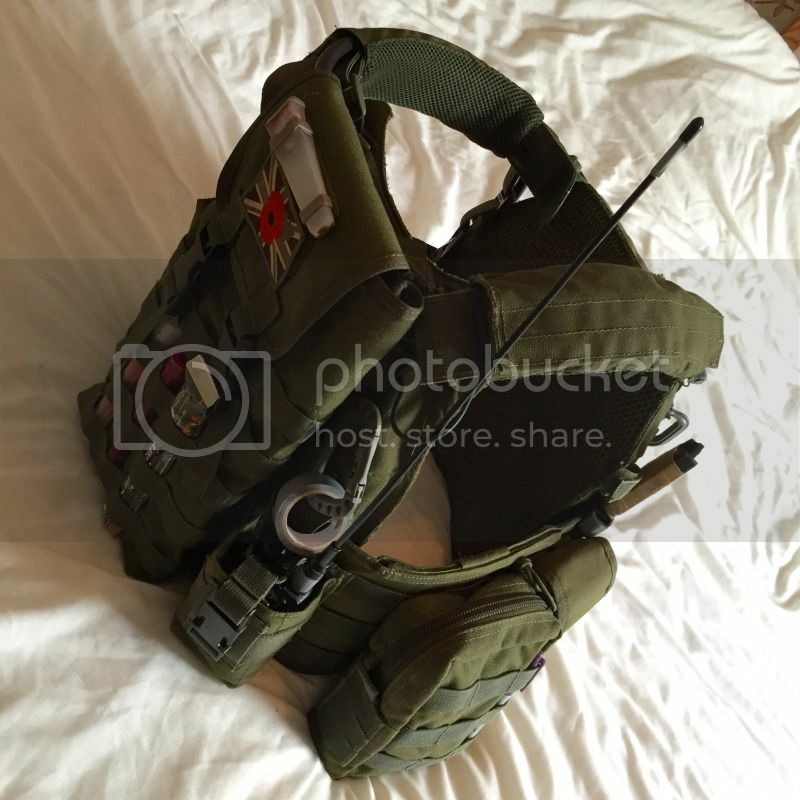 My PC is a RG Flyye 6094, I run it very light, hardly worth a post, just triple quick access pouch on the front, and the kangaroo pouches. But it's cheap (£65) and not exactly comfortable. 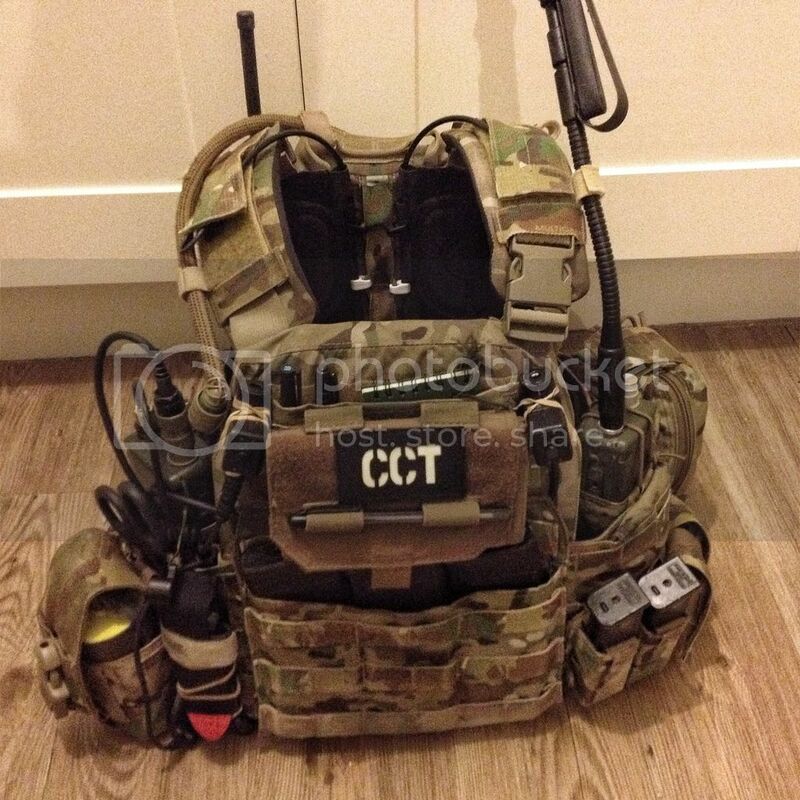 chest rig for me, in Coyote and Atacs AU, although AU only worn so far for prob 2 hours as playing more woody type games at mo...also the CPC as I got it reduced, for a lighter run around..
OD DCS for the win. Not far from yours. Nice and simple. 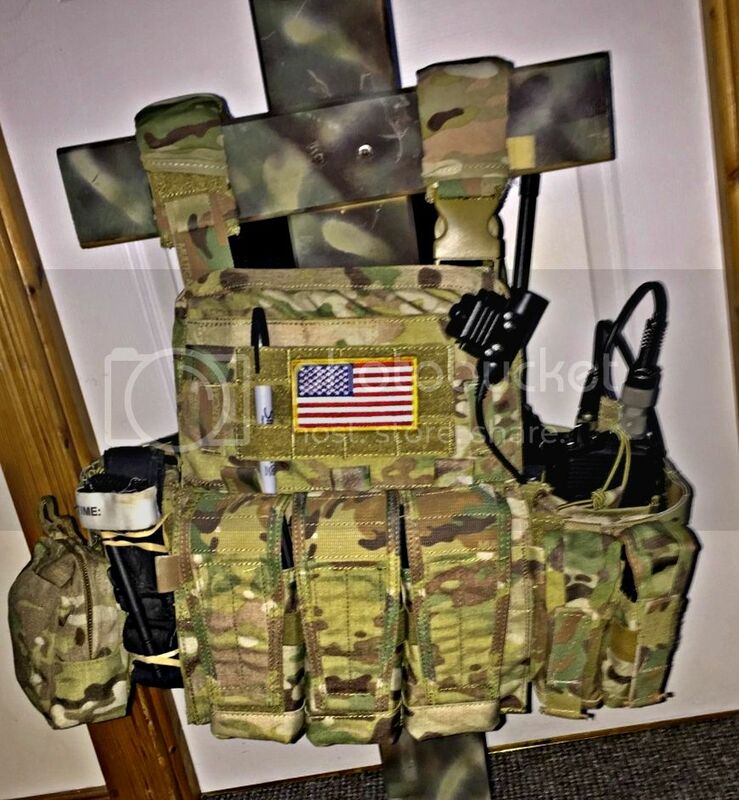 What pack is that on the back? It's the original WAS hydro pouch. It's not sold anymore.